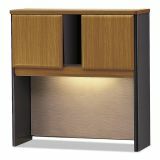 Bush Series A Collection 36W Hutch, Natural Cherry - Expandable collection of desks, hutches, and accessories provides hundreds of ways to increase workflow efficiencies. 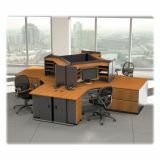 Durable, 1 thick melamine worksurface is scratch-resistant and stain-resistant. Edgebanding stands up to collisions and dents. 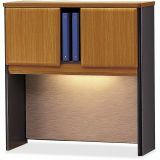 Design also features solid hardwood molded feet, a wire cable management system, and file drawers that hold letter-size or legal-size files. Lateral files accommodate letter-size or legal-size files. 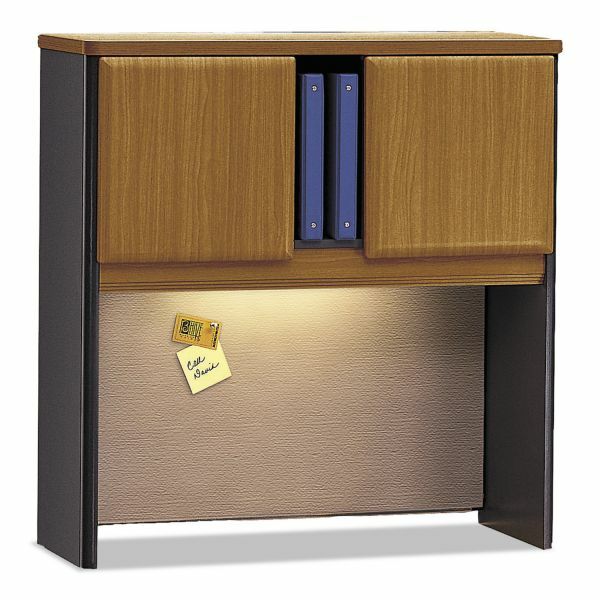 File drawers feature full-extension, ball-bearing slides. Corner Connectors link separate desks into single L-shape configurations. 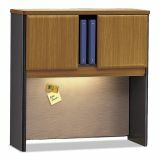 Hutches add overhead storage to desks and have full-width tackboard on back panels. 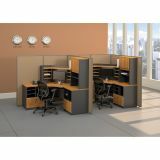 Use corner desk as a stand-alone unit or add a desk at either side to form efficient "L" configurations."